Oh my. I so love this feast day. 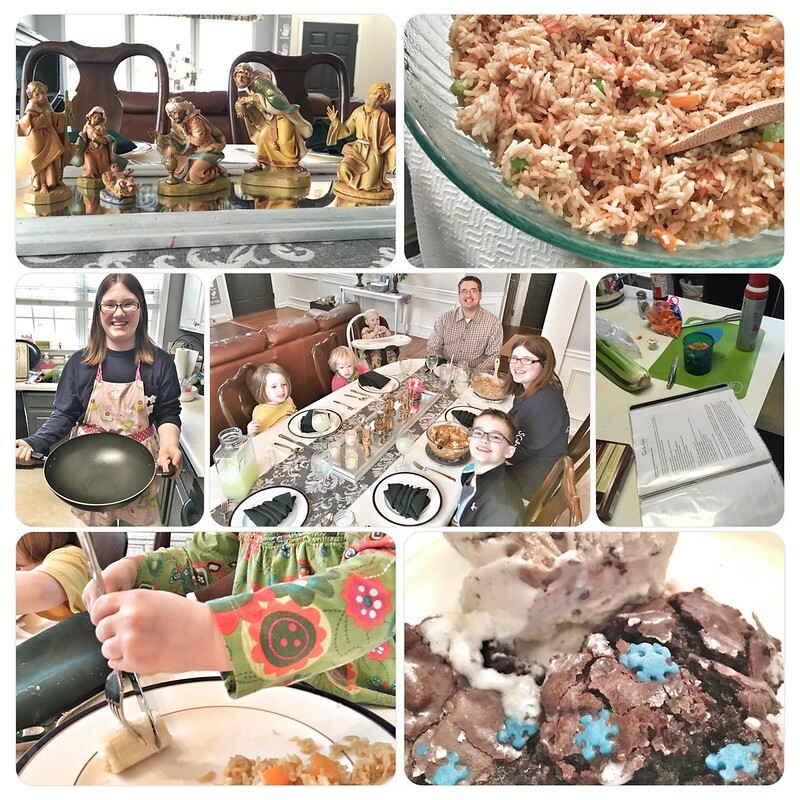 Normally, for ease of everyone, we celebrate as a family on Epiphany Sunday. However, this year, we needed a few more days. Wednesday, January 6th, traditionally Epiphany, was this year’s celebration day. For the last five years, we have marked this day with a special family meal, often using the wedding china and wine glasses for everyone. After having taken her cooking classes, Katie asked to make this year’s meal. Sweet & Sour chicken and fried rice was a nice treat for all of us. Even Grana, who doesn’t typically like sweet and sour, happily ate it and saved the extras for leftovers. It was really yummy and super exciting for me to not cook. Dinner at 4:30 allowed the boys to get to their Cub Scout meeting by 6:30. After dinner, it’s the much anticipated gift giving. 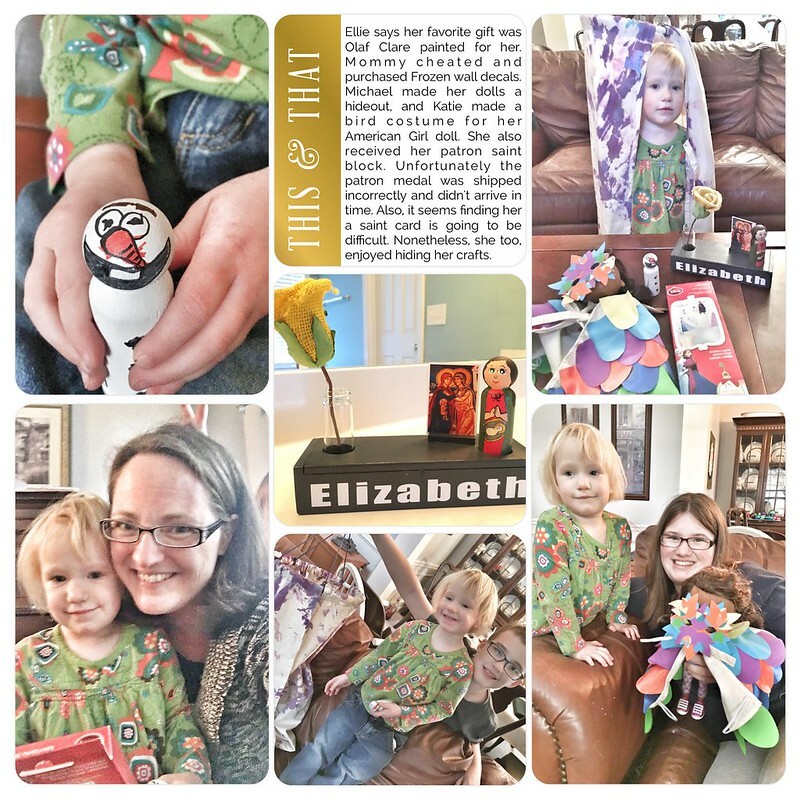 The family spends the days between Christmas and Epiphany crafting gifts for one another. 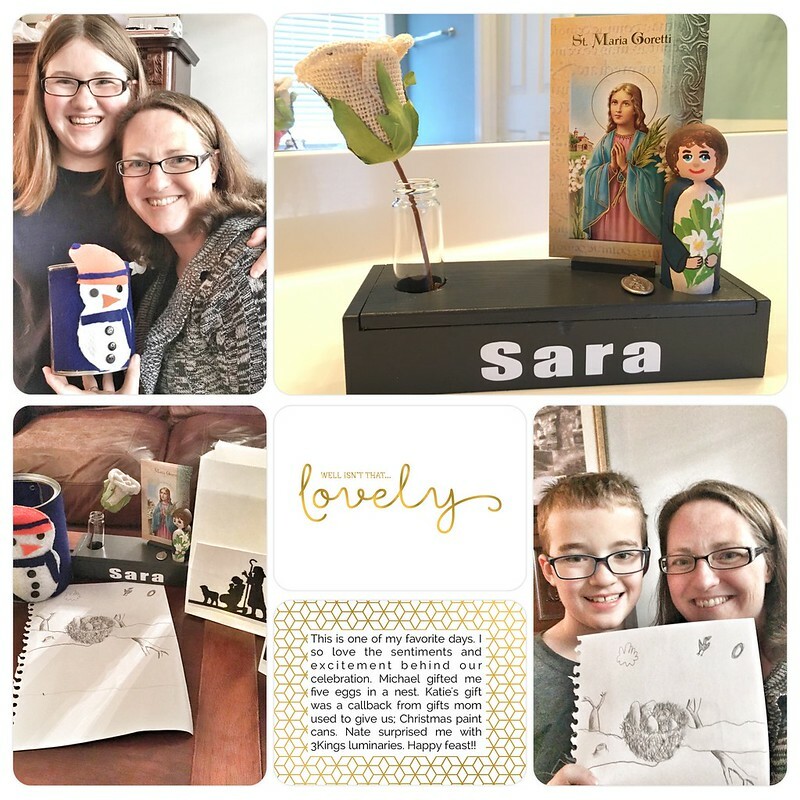 The gifts must be homemade and budgets are minimal. We often craft throughout the year, so it’s likely that we will have at the very least basic supplies. Look at what the kids gave to us! I love it. It was so fun, although quite difficult to plan my own gifts and also help the little girls each accomplish something to give. For their first year participating, they made gifts for Katie and Michael and each other only. 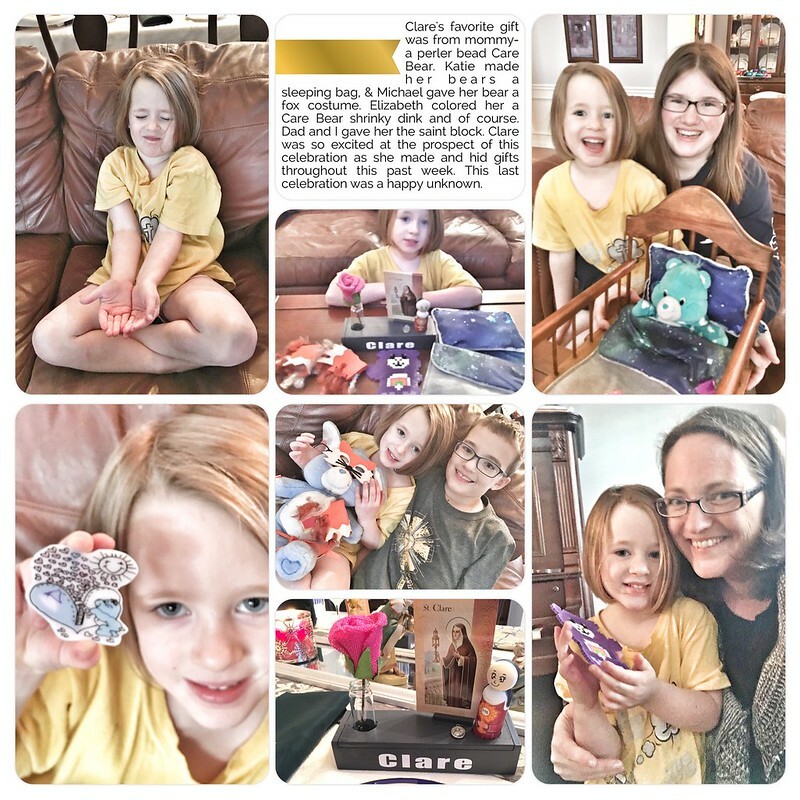 Clare was especially so excited to sneak around crafting her things and then hiding them away so they wouldn’t be found before our celebration! Clare struggled to fully comprehend the concept of this celebration. She thought Christmas was over. She wasn’t sure everyone was making her gifts as she only made a few. It was really sweet watching reality sink in and her excitement grow! 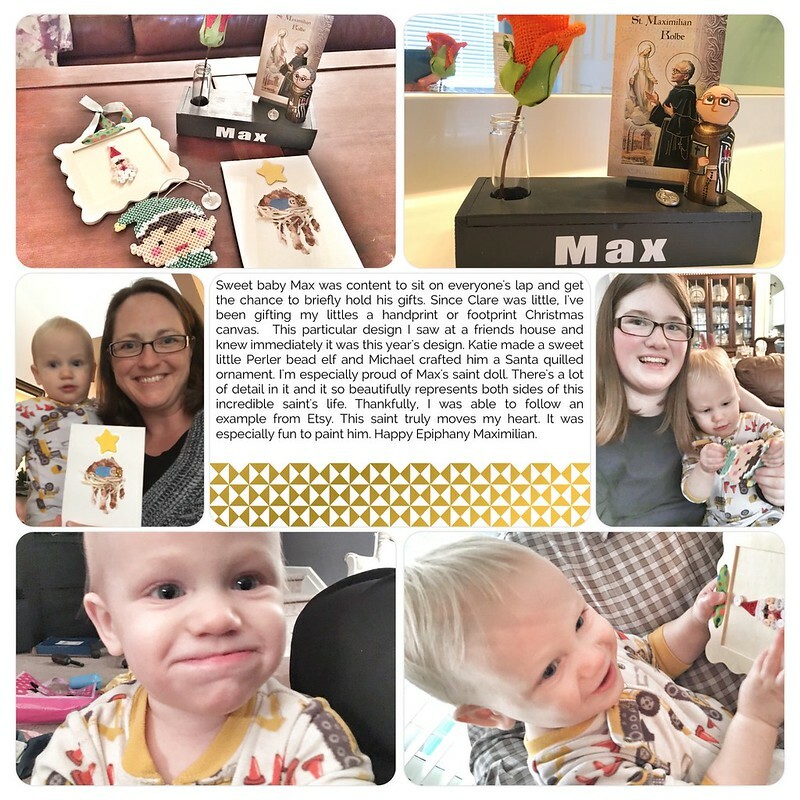 Everyone loves making things for the baby. It’s so easy. An ornament goes a long ways as he doesn’t have a preference, right?! Michael had some great ideas in the beginning but struggled more than years past with his implementation and timing. He follows in his dad’s last minute footsteps more than Katie & I. It makes me a tad crazy for sure! 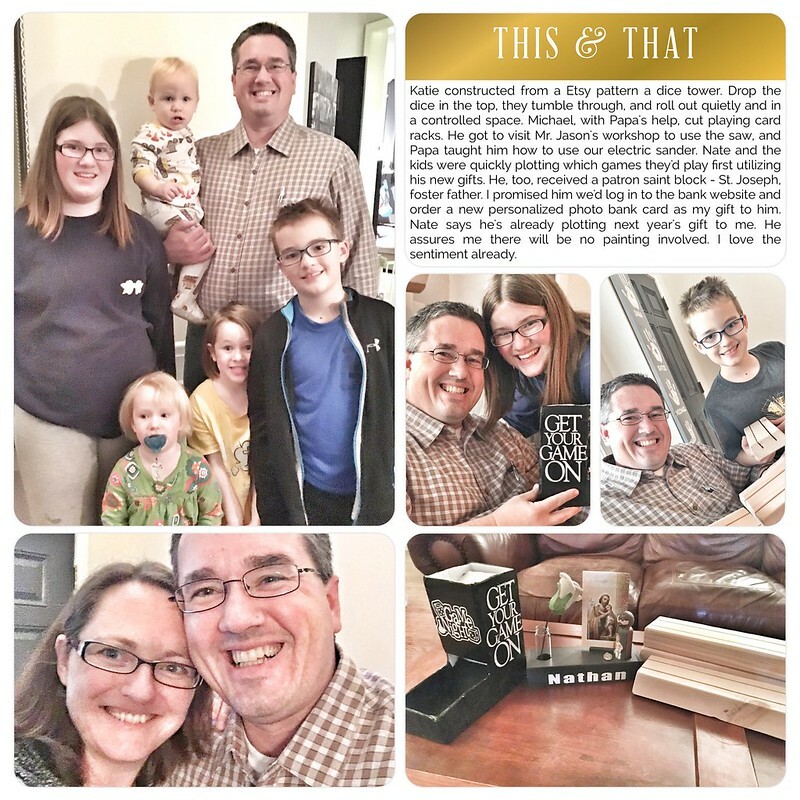 He pulled it off in the eleventh hour and everyone was so happy with his gifts. 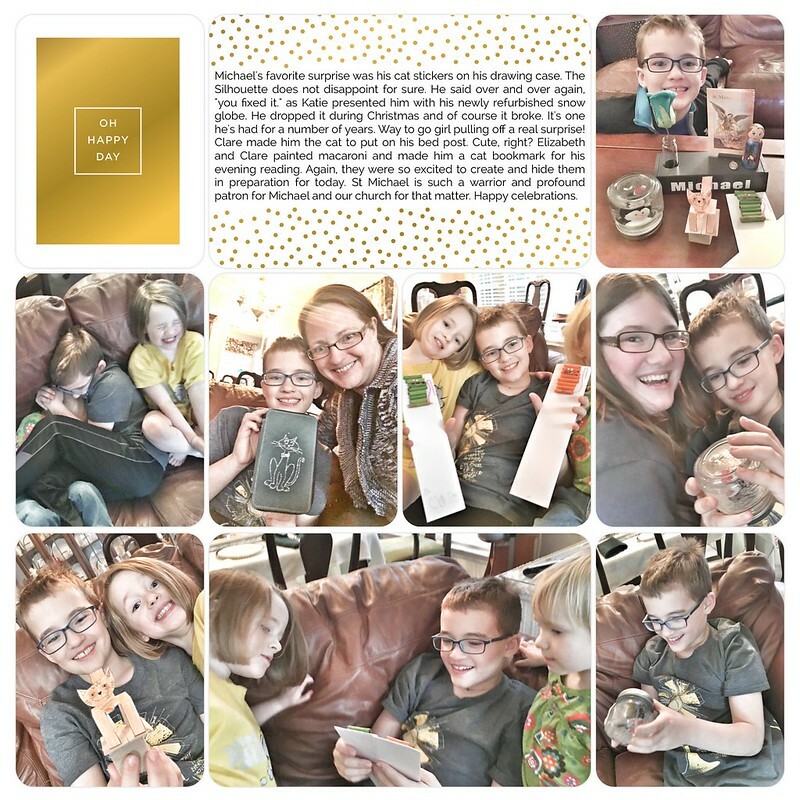 I love his smile in these pictures and his own excitement at giving and the anticipation of what would be placed in his hand. It’s funny how not wrapping the gifts adds its own allure. He told everyone his favorite thing was cats, so he got cats! 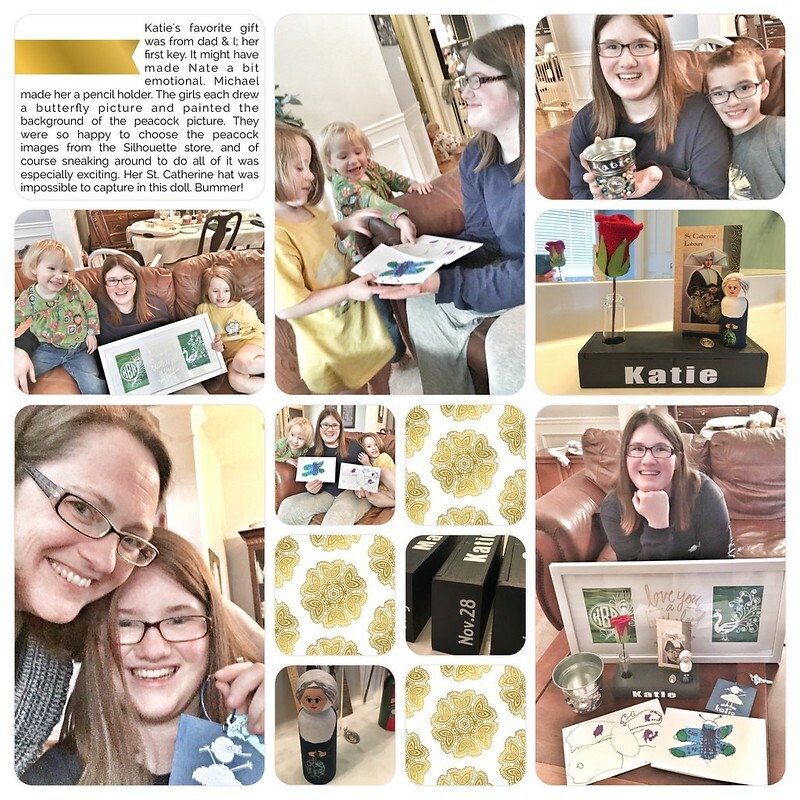 Katie was so very proud of her gifts this year, and was especially independent and creative in planning and executing her things. I couldn’t be more proud. She actually was finished with 2 or 3 days to spare. Yes. I was very jealous!! So another Epiphany is in the books and already a little conversation about next year’s ideas. I love it. This is indeed one of my most favorite traditions. I love how the kids get so excited to GIVE gifts. I love the anticipation before and during our celebration. I don’t even recall how this tradition came about, or for that matter, when we started it, but it has definitely become a highlight of our year. God bless us all and the example of the Kings! Our decorations will start to come down tomorrow! Boohoo. However, one final MERRY CHRISTMAS from our house to yours!